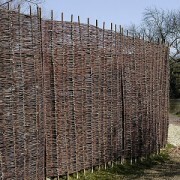 Natural willow screening. 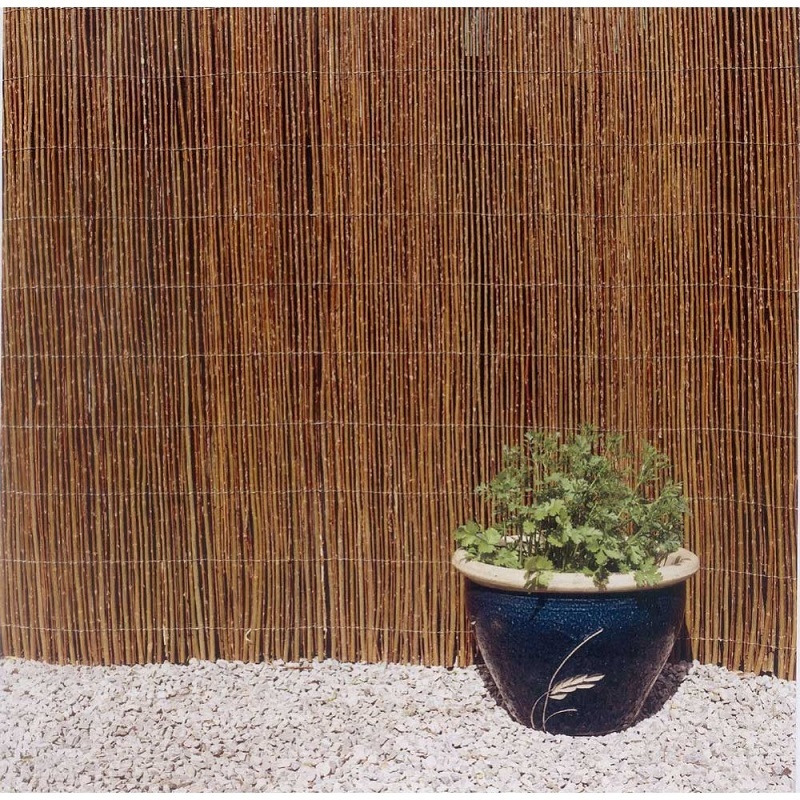 Ideal for disguising existing fencing or walls, it can also be used over arbours and pergolas, creating a soft shaded area beneath. 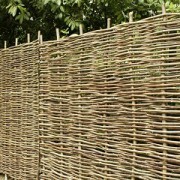 Versatile design will make for an attractive screen for the garden. 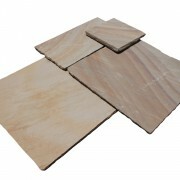 Ideal for disguising existing fencing or walls. 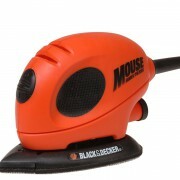 Made from completely natural wood which means it is eco-friendly and will ensure durability. 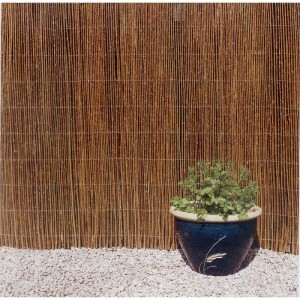 Easily attached to existing fences or walls with galvanised wire, cable ties, screws or nails. 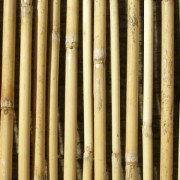 Willow cane is strong enough that it can be used to increase the height of an existing fence or wall. 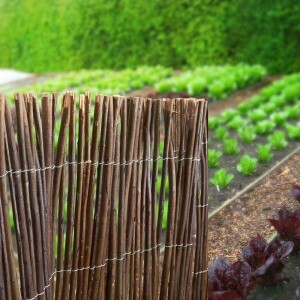 Each roll is made of individual vertical willow canes of varying thickness between 5mm and 15mm in diameter, tied together with horizontal galvanised wire. 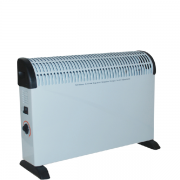 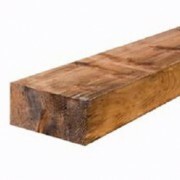 This product is supplied as a 4 metre long roll with a choice of two heights. 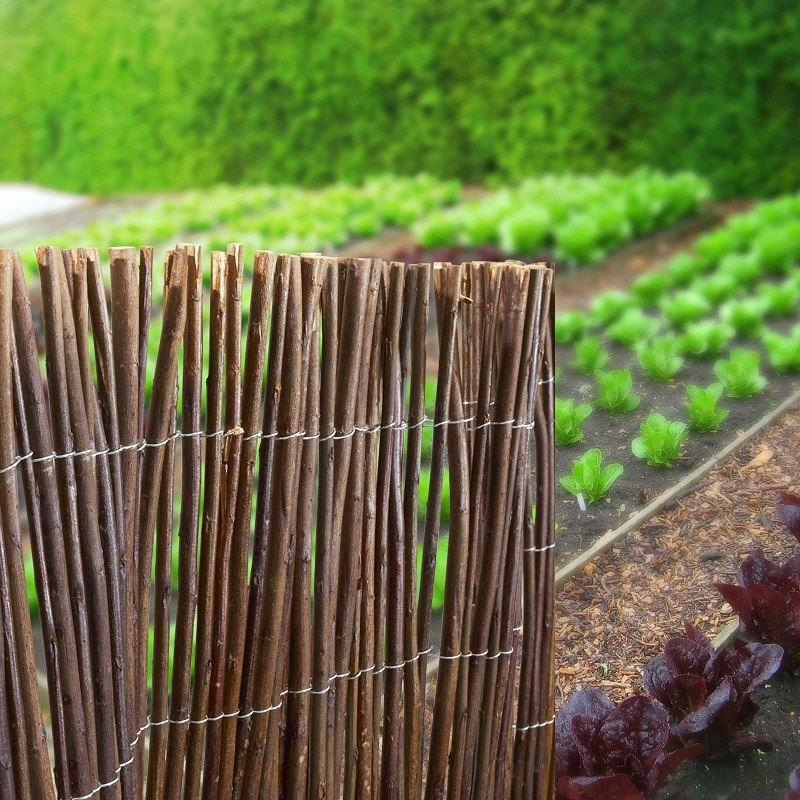 Are you interested in Willow Garden Screening?